Computer systems in the City of Atlanta were infected by ransomware, the cyber attack was confirmed by the City officials. The city learned of the attack at around 5:40 am local time on Thursday. 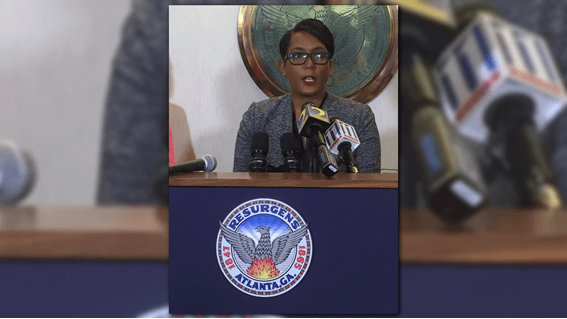 On Thursday, Mayor Keisha Lance Bottoms announced on Thursday that a malware has taken in hostage some internal systems, city’s data were encrypted. It is still unclear the current extent of the infection, but security experts fear other consequences for the citizens. The mayor recommended the city’s employees and anyone who had conducted transactions with the city to monitor their bank accounts fearing a possible data breach. “Yesterday morning, computer trouble started interfering with the normal computer operations on the Atlanta government network.” states Forbes. In response to the attack, IT staff sent emails to city employees in multiple departments telling them to disconnect their computers from the network if they notice suspicious activity. The news media 11Alive.com, cited the opinion of an expert that based on the language used in the message pointed out that the infection was caused by the SAMSAM ransomware. In February, the SAMSAM Ransomware hit the Colorado DOT, The Department of Transportation Agency and shuts down 2,000 computers. According to the U.S. Department of Justice, the SAMSAM strain was used to compromise the networks of multiple U.S. victims, including 2016 attacks on healthcare facilities that were running outdated versions of the JBoss content management application. The FBI and Department of Homeland Security are investigating the cyberattack. The local news channel WXIA published a screenshot of an alleged ransom message, the note demands 0.8 bitcoin (roughly $6,800) per computer or 6 bitcoin ($50,000) for keys to unlock the entire network. The mayor confirmed that the city would seek guidance from federal authorities on how to “navigate the best course of action”.